Neumann, M., and Skiadopoulos, G. (2012): “Predictable Dynamics in Higher Order Risk-Neutral Moments: Evidence from the S&P 500 Options”, Journal of Financial and Quantitative Analysis, forthcoming. Jiang, G, Konstantinidi, E., and Skiadopoulos, G. (2012): «Volatility Spillovers and the Effect of News Announcements», Journal of Banking and Finance, forthcoming. Goulas, L. and Skiadopoulos, G. (2012): “Are Freight Futures Markets Efficient? Evidence from IMAREX”, International Journal of Forecasting, forthcoming. Skiadopoulos, G. (2012): “Investing in Commodities: Popular Beliefs and Misconceptions”, Journal of Asset Management, 13:2, 77-83. Diacogiannis, G., Bratis, T. (2012): “Neurofinance: A Collaboration of Psychology, Neurology and Investor Behavior”, SPOUDAI, forthcoming. Antypas, A., Koundouri, P., Kourogenis, N. (2012), «Aggregational gaussianity and Barely Infinite Variance in Financial Returns», Journal of Empirical Finance, forthcoming. Koundouri, P., Kourogenis, N. (2011): “On the Distribution of Crop Yields: Does the Central Limit Theorem Apply?”, American Journal of Agricultural Economics 93, 1341–1357. Kourogenis, N., Pittis, N. (2011): “Mixing Conditions, Central Limit Theorems and Invariance Principles: A Survey of the Literature with Some New Results on Heteroscedastic Sequences”, Econometric Reviews 30, 88-108. Konstantinidi, E., and Skiadopoulos, G., (2011): «Are VIX futures Prices Predictable? An Empirical Investigation», International Journal of Forecasting, 27, 543-560. Kostakis,A., Panigirtzoglou, N., and Skiadopoulos, G. (2011): “Market Timing withOption-Implied Distributions: A Forward-Looking Approach”, Management Science 57, 1231-1249. Daskalaki,C. and Skiadopoulos, G. (2011): “Should Investors include Commodities intheir Portfolios after All? New Evidence”, Journal of Banking and Finance 35, 2606-2626. Antzoulatos A. and Tsoumas C. (2010): “Financial Development and Household Portfolios – Evidence from Spain, the U.K. and the U.S.A.”, Journal of International Money and Finance, forthcoming. Kourogenis, N., Pittis, N. (2010): “Unbounded heteroscedasticity in first-order autoregressive models and the Eicker–White asymptotic variance estimator”, Economics Letters 106, 84-86. Kyriazis, D. (2010). “The Long-Term Post-Acquisition Performance of Greek Acquiring Firms”. International Research Journal of Finance and Economics, v.43, pp.69-79. Koubouros M., Malliaropulos D., Panopoulou E (2009): “Long-run cash flow and discount rate risks in the cross-section of US returns”, The European Journal of Finance, forthcoming. Christou C., Hassapis C., Kalyvitis S. and Pittis N. (2009): “Long-run PPP under the Presence of Near-to-Unit Roots: The Case of the British Pound-US Dollar Rate”, Review of International Economics, vol. 17, 144-155. Apergis N. and Payne J. (2009): «Energy consumption and economic growth in Central America: Evidence from a panel cointegration and error correction model», Energy Economics, forthcoming. Apergis N. and Eleftheriou S. (2009): «Firm profitability and stock returns: Is there any role of the firm size? A panel data approach», International Journal of Economic Issues, forthcoming. Αpergis N., Economidou C. and Phillipidis J. (2009): «International technology spillovers, human capital and productivity linkages: Evidence from the industrial sector», Empirica, forthcoming. Apergis N. and Ventouris L. (2009): «Asymmetries in monetary policy», International Journal of Economic Research, forthcoming. Christou C., Hassapis C., Kalyvitis S. and Pittis N. (2009): «Purchasing Power Parity under Exact and Near Unit Roots», Review of International Economics, forthcoming. Giamouridis, D. and Skiadopoulos, G. (2009): The Informational Content of Financial Options for Quantitative Asset Management: A Review. In Handbook of Quantitative Asset Management, B. Scherer and K. Winston (Editors), Oxford University Press, forthcoming. Angelidis T. and Skiadopoulos G. (2008): «Measuring the Market Risk of Freight Rates: A Value-at-Risk Approach”, International Journal of Theoretical and Applied Finance, 11, 447-469. Apergis N., Miller S., Panethimitakis A. and Vamvakidis T. (2008): «Inflation Targeting and Output Growth: Evidence from Aggregate European Data», Economic and Financial Modelling. Apergis N. (2008): «Foreign direct investment inward and outward: Evidence from panel data, developed and developing economies, open and closed economies», The American Economist. Apergis N., Lyroudi K. and A. Sfetsos (2008): «Private and Government Consumption in Transitional Economies: A Panel Data Analysis», Journal of Economic Development. Apergis N., Economidou C. and Phillipidis, I. (2008): «Innovation, Technology Transfer and Labor Productivity Linkages: Evidence from a Panel of Manufacturing Industries», Review of World Economics (Weltwirtschaftliches Archiv). Apergis N., Lyroudi K. and Vamvakidis A. (2008): «The relationship between FDI and economic growth: Evidence from transition countries», Transition Studies Review, 15, 37-51. Chantziara T. and Skiadopoulos G. (2008): «Can the Dynamics of the Term Structure of Petroleum Futures be forecasted? Evidence from Major Markets», Energy Economics, 30, 962-985. Diacogiannis G. and Makri P. (2008): «Estimating Betas in Thinner Markets: The Case of the Athens Stock Exchange» International Research Journal of Finance and Economics. Konstantinidi E., Skiadopoulos G. and Tzagkaraki E. (2008): «Can the Evolution of Implied Volatility be forecasted? Evidence from European and US Implied Volatility Indices», Journal of Banking and Finance, 32, 2401-2411. Antzoulatos A., Tsoumas C. and Thanopoulos J. (2008) “Financial System Structure and Change – Evidence from the O.E.C.D. Countries”, Journal of Economic Integration, Vol. 23, No. 4, pp. 977 – 1001. Kourogenis N. and Pittis N. (2008): «Testing for a Unit Root Under Errors with Just Barely Infinite Variance», Journal of Time Series Analysis, 29, 1066-1087. Kourogenis N. and Pittis N. (2008): «Cointegration, variance shifts and the limiting distribution of the OLS estimator» , Economics Letters, 99, 103-106. Kyriazis D. and Diacogiannis G. (2008): «The Determinants of Wealth Gains in Greek Takeover Bids», International Research Journal of Finance and Economics, 22. Kyriazis D. and Voudouris G. (2008): «The Post-Takeover Operational Performance : An Application to the Greek Acquiring Firms», International Journal of Economic Research, 5, 75-92. Staikouras P. (2008): «Four years of MADness? The new market abuse prohibition revisited: integrated implementation through the lens of a critical, comparative analysis», European Business Law Review, 19, 775-809. Staikouras P. (2008): «Corporate governance and investor protection in Greece: regulatory and supervisory reform from a law and finance perspective», European Business Organization Law Review, 9. Apergis, N. and A. Rezitis (2007): «Spillover effects in agricultural prices: A panel cointegration and causality approach», Journal of Agricultural and Food Economic. Αpergis, N., I. Filippidis, and Economidou, C. (2007): «Financial deepening and economic growth linkages: a panel data analysis», Review of World Economics (Weltwirtschaftliches Archiv). Apergis, N. and Miller, S. (2007): «Consumption Asymmetry and the Stock Market: Empirical Evidence», Economics Letters. Apergis, N., Lyroudi, K. and McCarty, D. (2007): «The role of liquidity for the UK companies: A panel cointegration and causality approach», Asian-African Journal of Economics and Econometrics. Apergis, N. and S. Miller (2007): «Total factor productivity and monetary policy: Evidence from conditional volatility», International Finance. Apergis, N., C. Katrakalidis and N. Tambakis (2007): «Foreign Direct Investment Inward and Foreign Direct Investment Outward»; Evidence from Panel Data, Indian Development Review: An International Journal of Development Economics. “Household Portfolio Dynamics in the E.U. – 1994-2000” (A. Antzoulatos with C. Tsoumas), International Journal of Economic Research, Vol. 4, No. 1, January 2007, pp. 1 – 15 (lead article). Dotsis, G., Psychoyios, D., and Skiadopoulos, G. (2007): «An Empirical Comparison of Continuous-Time Models of Implied Volatility Indices», Journal of Banking and Finance, 31, 3584-3603. Hardouvelis, G., Malliaropoulos, D. and Priestley, R. (2007): «EMU and the equity cost of capitall», Journal of International Money and Finance, 26, 305-327. Kyriazis, D. & Diacogiannis, G. (2007): «Testing the Performance of Value Strategies in the Athens Stock Exchange», Applied Financial Economics, 17, 1511-1528. Kyriazis, D. & Anastassis, Ch. (2007): «The Validity of the Economic Value Added Model: an Empirical Application», European Financial Management, 13, 71-100. Malliaropoulos, D., Koubouros, M. and Panopoulou, E. (2007): «Temporary and Permanent Market Risks: Some Further Evidence» Mathematical and Computer Modelling, 46, 163-173. Staikouras P., Staikouras C., Agoraki M. E. (2007): «The effect of board size and composition on European bank performance» , European Journal of Law and Economics, 23, 1-27. Staikouras P. (2007):»The regulatory ‘big-bang’ on the internal corporate governance of banks and its implications» Journal of Banking Regulation, 8, 201-235. Apergis, N. (2006): «Housing prices and the macroeconomy: Evidence from a panel of European Mediterranean countries» , Indian Journal of Economics & Business, 5. Apergis, N., C. Katrakilidis, and N. Tabakis (2006): «Dynamic linkages between FDI inflows and domestic investment: A panel cointegration approach » , Atlantic Economic Journal. Christou, C. and Koundouri, P. (2006): «Dynamic Adaptation to Resource Scarcity with Backstop Availability» , Australian Journal of Agricultural and Resources Economics, 50, 1-28. Diacogiannis, G. and Anastopoulou, M. (2006): «The Interdependence of European Equity Markets» , International Journal of Financial Services Management. Hardouvelis, G., Malliaropoulos, D. and Priestley, R. (2006): «EMU and European Stock Market Integration», The Journal of Business, 79, 365-392. Kourogenis, N. (2006): «Two nontrivial critical points for nonsmooth functionals via local linking and applications» , Journal of Global Optimization 34, 219-244. Psychoyios, D., and Skiadopoulos, G. (2006): «Volatility Options: Hedging Effectiveness, Pricing, and Model Error», Journal of Futures Markets, 26, 1-31. Staikouras, P. (2006): «Corporate (mis)governance? A critical and comparative analysis for the case of Greece» , European Business Law Review, 17, 1129-1167. Stefanadis, Ch. and Jay Pil Choi. (2006): «Bundling, Entry Deterrence, and Specialist Innovators» , Journal of Business. Apergis, N. (2005): «Inflation Uncertainty and Growth: Evidence from Panel Data», Australian Economic Papers. Apergis, N. (2005): «The natural rate of unemployment in Greece», Journal of Policy Modeling. Apergis, N. and S. Miller (2005): «Money volatility and output volatility: any asymmetric effects? Evidence from conditional measures of volatility», Journal of Economic Studies. Diacogiannis, G. , Patsalis, N., Tsangarakis, N. and Tsiritakis, E. (2005): «Price Limits and Overreaction in the Athens Stock Exchange» , Applied Financial Economics, 15, 53-61. Linaras, C. E., and Skiadopoulos, G. (2005): «Implied Volatility Trees and Pricing Performance: Evidence from the S&P 100 Options», International Journal of Theoretical and Applied Finance, 8, 1085-1106. Skiadopoulos, G., Hodges, S. and Clewlow, L. (2005): “The Dynamics of Smiles”. In Quantitative Methods in Finance: In Honor of Professor Andreas Kintis, Refenes, A. P. (Editor), Gutenberg Publishers. Skintzi, V., Skiadopoulos, G., and Refenes, P. (2005): “The Effect of Mis-Estimating Correlation on Value-at-Risk”, Journal of Alternative Investments, 7, 66-82. Apergis, N. and S. Miller (2004): «Macroeconomic rationality and Lucas’s Misperceptions Model: Further Evidence from Panel Data», Journal of Economics and Business. Apergis, N. and Rezitis, A. (2004): «Cost structure, technological change, and productivity growth in the Greek Banking Sector», International Advances of Economic Research, 1-15. Apergis, N. and Rezitis, A. (2004) «Agricultural price volatility spillover effects: Reply’» , European Review of Agricultural Economics, 31, 487-488. Apergis, N. (2004): «Aggregate employment and sectoral shocks in Greece: Evidence from GARCH-M estimates and variance decompositions», Global Journal of Finance and Economics. Apergis N. (2004): «Inflation, Output Growth, Volatility and Causality: Evidence from Panel Data and the G7 Countries «, Economics Letters. Apergis, N. (2004): «Long memory patterns in the foreign exchange market», Indian Journal of Economics & Business. Panigirtzoglou, Ν., and Skiadopoulos, G. (2004): «A New Approach to Modeling the Dynamics of Implied Distributions: Theory and Evidence from the S&P 500 Options», Journal of Banking and Finance, 28,1499-1520 (Lead Article). Panopoulou, E., Pittis, N. (2004): «A comparison of autoregressive distributed lag and dynamic OLS cointegration estimators in the case …», The Econometrics Journal, Blackwell Synergy , http://www.blackwell-synergy.com/doi/abs/10.1111/j.1368-423X.2004.00145.x . Pantelidis, T., Pittis, N. (2004): «Testing for Granger causality in variance in the presence of causality in mean», Economics Letters, Elsevier, http://linkinghub.elsevier.com/retrieve/pii/S0165176504001697 . Skiadopoulos, G. (2004): «The Greek Implied Volatility Index: Construction and Properties,» Applied Financial Economics, 14, 1187-1196. Σταϊκούρας Π. (2004): «Χρηματιστηριακοί αναλυτές και συγκρούσεις συμφερόντων: ανεξαρτησία-ποιότητα της χρηματιστηριακής ανάλυσης και επενδυτής» Δίκαιο Επιχειρήσεων και Εταιριών, 101, 169-177. 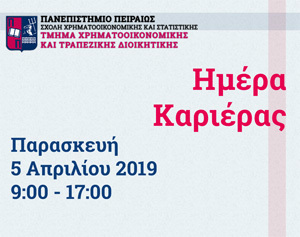 Staikouras P. (2004): «Structural reform policy: privatization and beyond – the case of Greece» European Journal of Law and Economics, 18,373-398. Staikouras P. (2004): «The new market abuse regime in Greece: A step towards increased market transparency or a new source of confusion?» Journal of Financial Regulation and Compliance, 12, 315-329. Caporale, GM., Pittis, N., Sakellis, P.(2003):, «Testing for PPP: the erratic behaviour of unit root tests» , Economics Letters, Elsevier. “Bank Lending to LDCs – Lessons from the 1970s” (A. Antzoulatos with N. Seth), International Economic Journal, Vol. 17, Νο. 2, Summer 2003, pp. 19-36. “Capital Flight – Lessons from E. Europe in the 1990s” (A. Antzoulatos with Th. Sampaniotis), European Research Studies Journal, Vol. 6, Νο. 1 – 2, pp. 35 – 50, 2003. Caporale, GM., Pittis, N., Spagnolo, N. (2003):,»IGARCH models and structural breaks»,Applied Economics Letters. Kourogenis, N. (2003): «Strongly nonlinear differential inclusions with generalized boundary conditions», Journal of Mathematical Analysis and Applications, 287, 348-364. Kourogenis, N., Papageorgiou, N. (2003): “Nonlinear hemivariational inequalities of second order using the method of upper-lower solutions”, Proceedings of the American Mathematical Society 131 (2003), 2359-2369. Lambadiaris, G., Papadopoulou, L., Skiadopoulos, G., and Zoulis, I. (2003): «VAR: History or Simulation?», RISK, 16, 122-127. Also printed in The Risk Annual: Technical Papers from The Cutting Edge Section of Risk, Dunbar, N. (Editor), Risk Books Ed. Psychoyios, D., Skiadopoulos, G., and Alexakis, P. (2003): «A Review of Stochastic Volatility Processes: Properties and Implications», Journal of Risk Finance, 4, 43 – 60. Stefanadis, Ch. and Jay Pil Choi. (2003): «The Effects of Integration on R&D Incentives in Systems Markets», Netnomics, 21-32. Stefanadis, Ch. (2003): «Sunk Costs, Contestability, and the Latent Contract Market,» Journal of Economics and Management Strategy, Spring , 119-138. Stefanadis, Ch. (2003): «Self-Regulation, Innovation, and the Financial Industry,» Journal of Regulatory Economics, 5-25. Tsiritakis, E.D., Manolas, G.A (2003): «Macroeconomics Factors and Stock Returns in a Changing Economic Frame Work; The Case of the Athens Stock Exchange», Managerial Finance. Hardouvelis G., Theodossiou P. (2002): “The Asymmetric Relation between Margin Requirements and Stock Market Volatility across Bull and Bear Markets», The Review of Financial Studies, 15:5, 1525-59. Kourogenis, N., Papageorgiou, N. (2002): “Existence theorems for elliptic hemivariational inequalities involving the p-Laplacian”, Abstract and Applied Analysis 7, 259-277. Kourogenis, N., Papadrianos, J., Papageorgiou, N. (2002): “Extensions to nonsmooth critical point theory and applications”, Atti Seminario Mattematico e Fisico Universita Modena 50, 381–414. Antzoulatos A. “Arbitrage Opportunities on the Road to Stabilization and Reform”, Journal of International Money and Finance, Vol. 21, 2002, pp. 1013-1034. “Bond Pricing Before and After E.M.U. 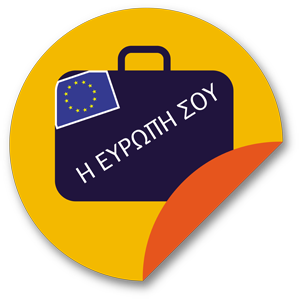 – From the Experience of the European South (A. Antzoulatos with E. Kli-naki), Journal of Economic Integration, Vol. 17, No. 1, March 2002, pp. 153-163. Skiadopoulos, G. (2002): “The Simulation of the Implied Distribution and Other Smile Consistent Stochastic Volatility Models: An Overview”. In Financial Engineering, E-Commerce and Supply Chain (Applied Optimization, Volume 70), Pardalos, P., Tsitsiringos, V. (Editors), Chapter 12, pp. 189-212, Kluwer Academic Publishers, Hardback, 396 pages, ISBN: 1402006403. “Kernel and Bandwidth Selection, Prewhitening, and the Performance of the Fully Modified Least Squares Estimation Method”, (Chr. Christou with N. Pittis), Econometric Theory, vol. 18 (2002), No. 4, 948-61. Staikouras, P. (2001): «Regulating insider trading and market manipulation in Greece: normative transplants and conceptual confusion», Yearbook of International Financial & Economic Law, in J. J. Norton and C. Hadjiemmanuil (eds), British Institute of Inter. Kourogenis, N., Papageorgiou, N. (2001): “Multiple solutions for nonlinear discontinuous strongly resonant elliptic problems”, Journal of the Mathematical Society of Japan 53, 17–34. Kourogenis, N., Papageorgiou, N. (2001): “Nonlinear elliptic equations with discontinuous nonlinearities”, Pure Mathematics and Applications 12, 79–94. Skiadopoulos, G., and Hodges, S. (2001): «Simulating the Evolution of the Implied Distribution», European Financial Management Journal, 7, 497-521. Skiadopoulos, G. (2001): “Volatility Smile Consistent Option Models: A Survey”, International Journal of Theoretical and Applied Finance 4, 403-437.